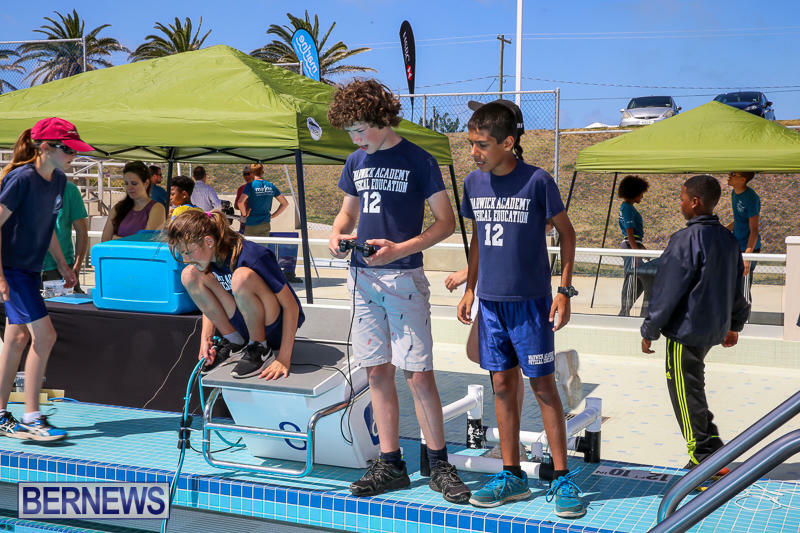 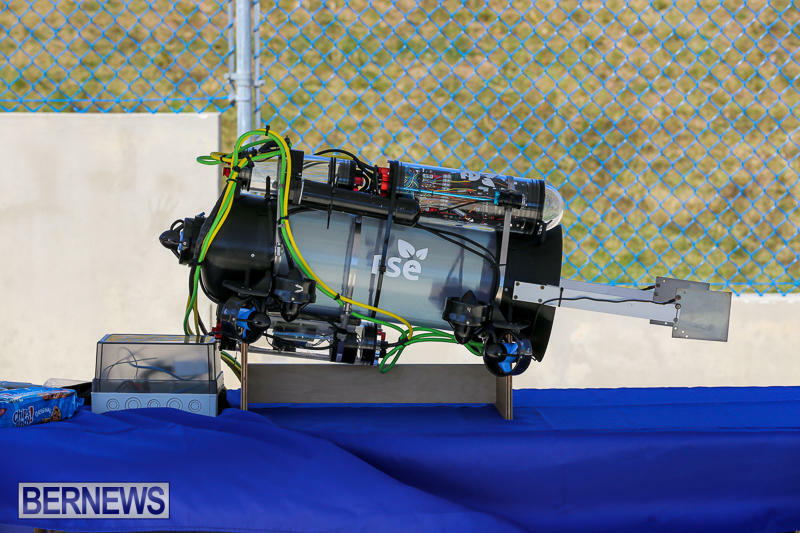 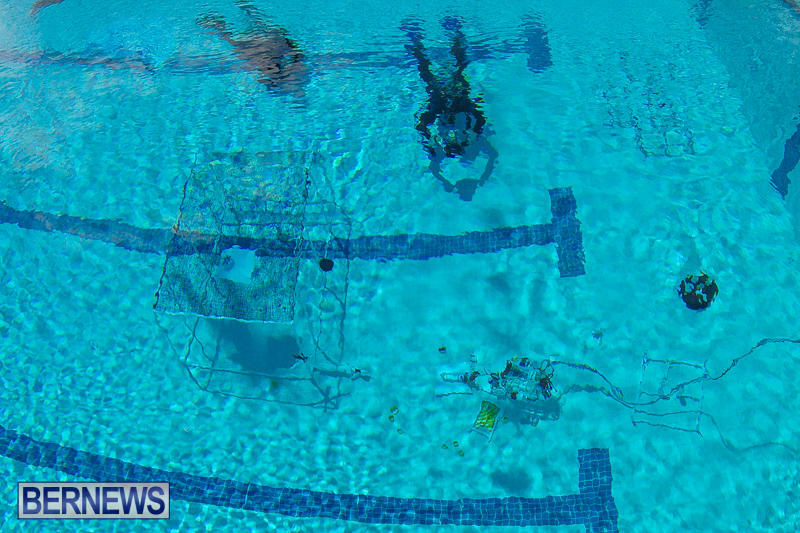 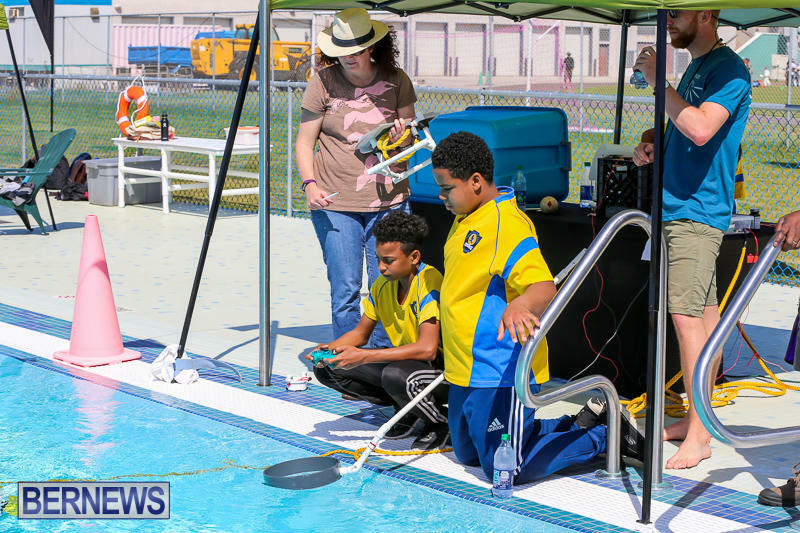 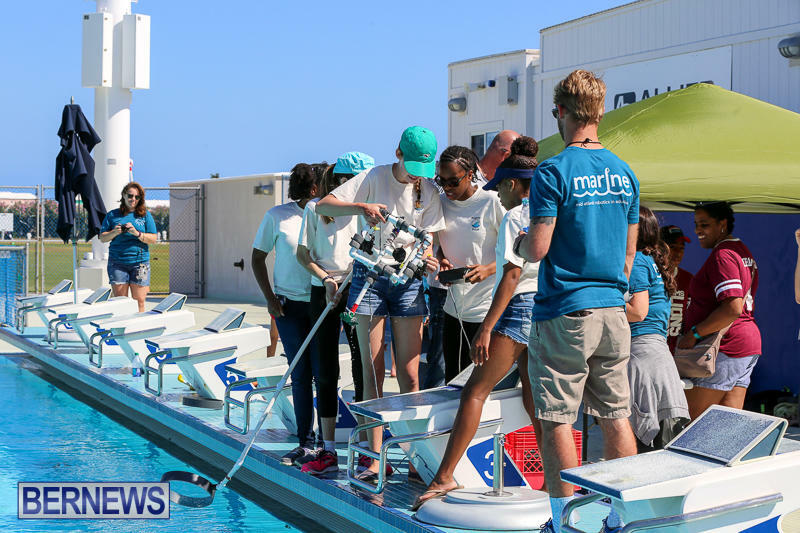 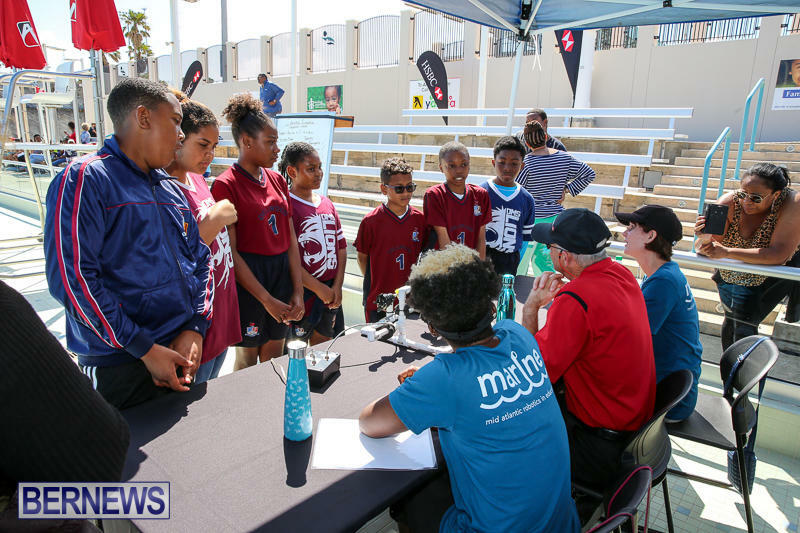 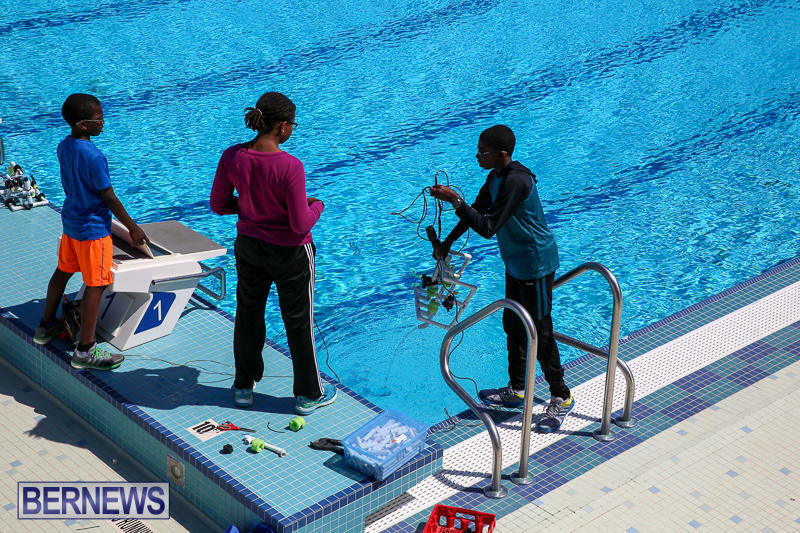 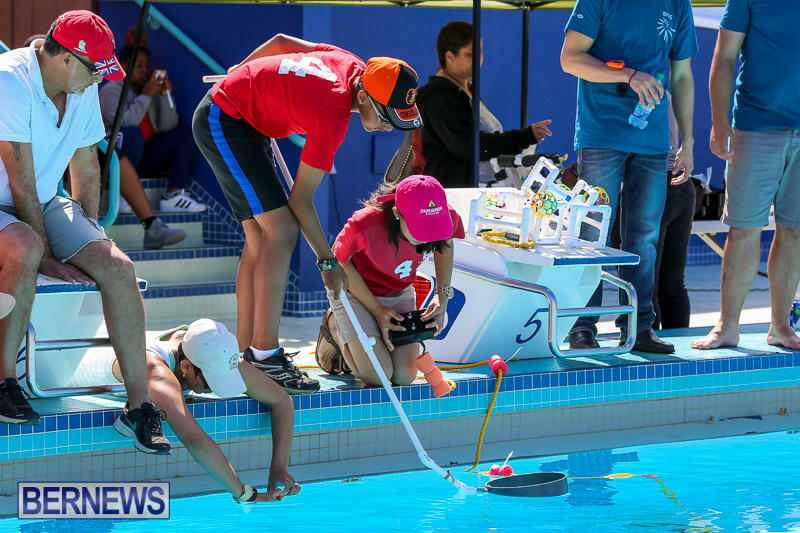 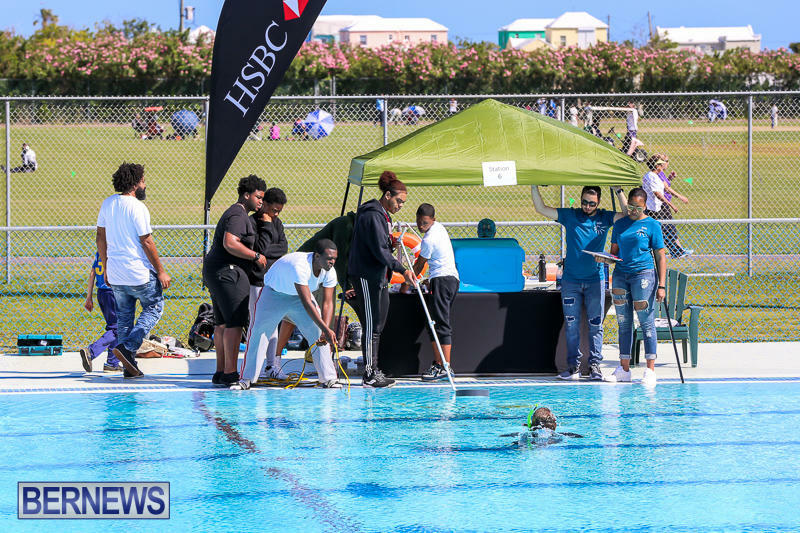 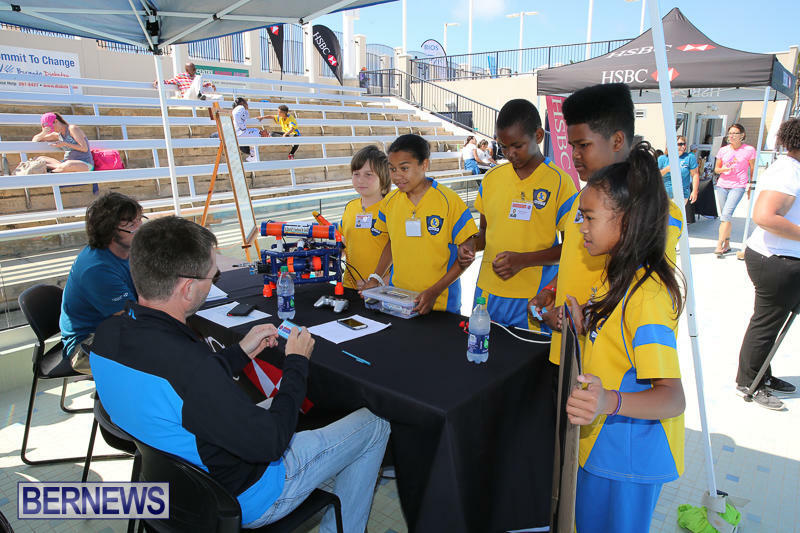 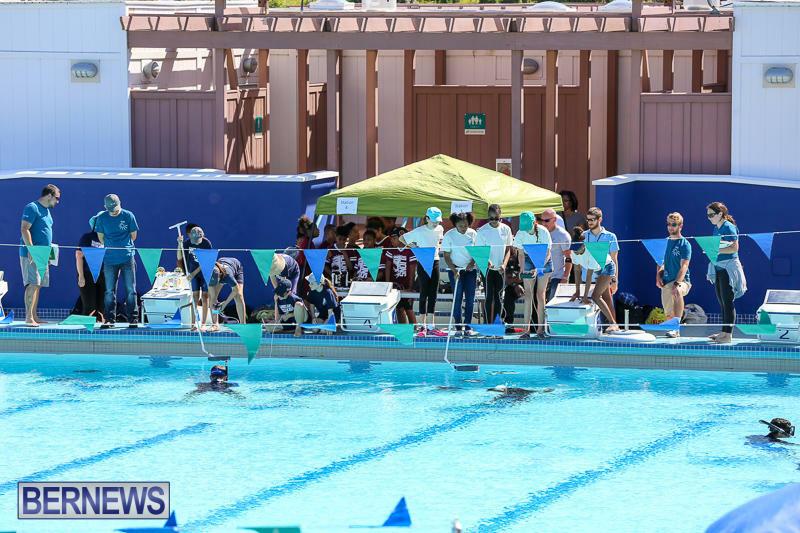 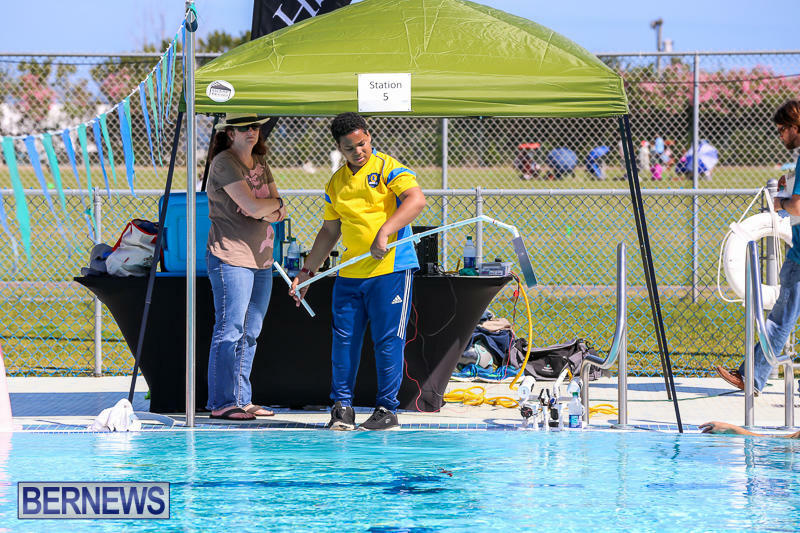 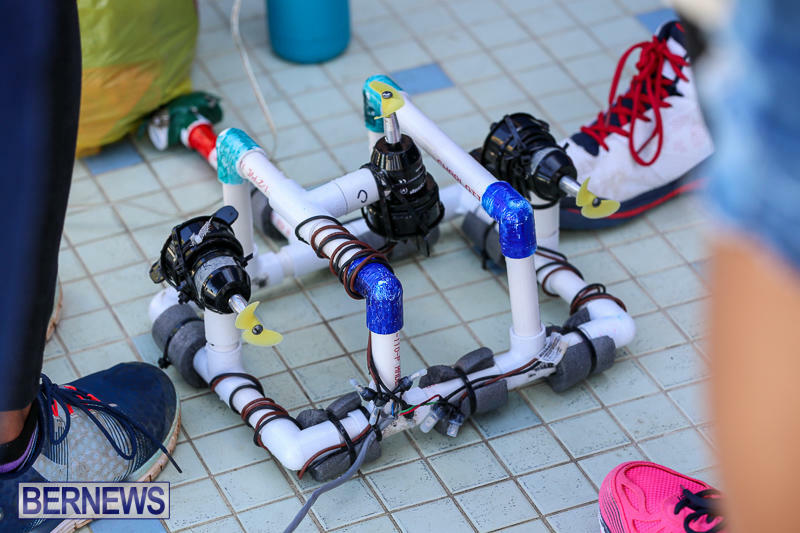 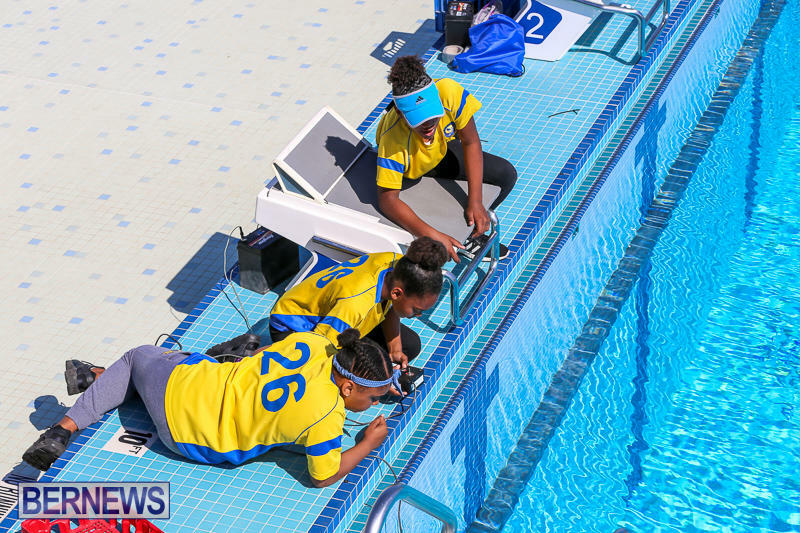 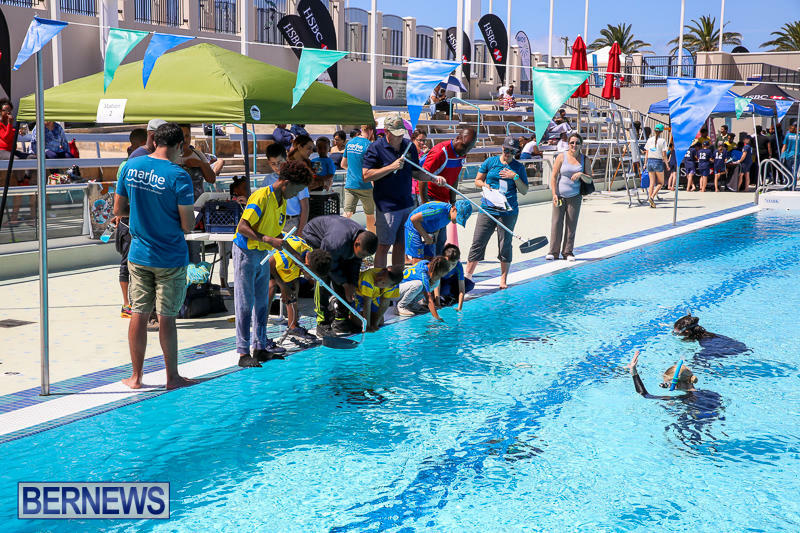 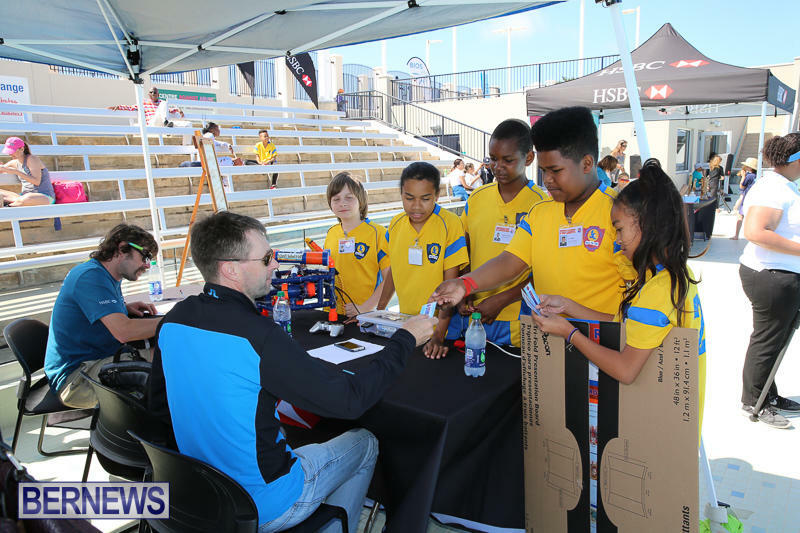 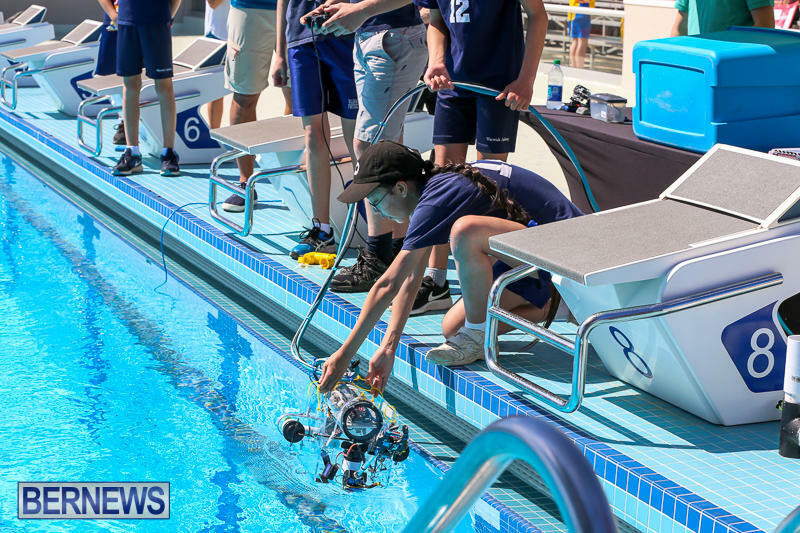 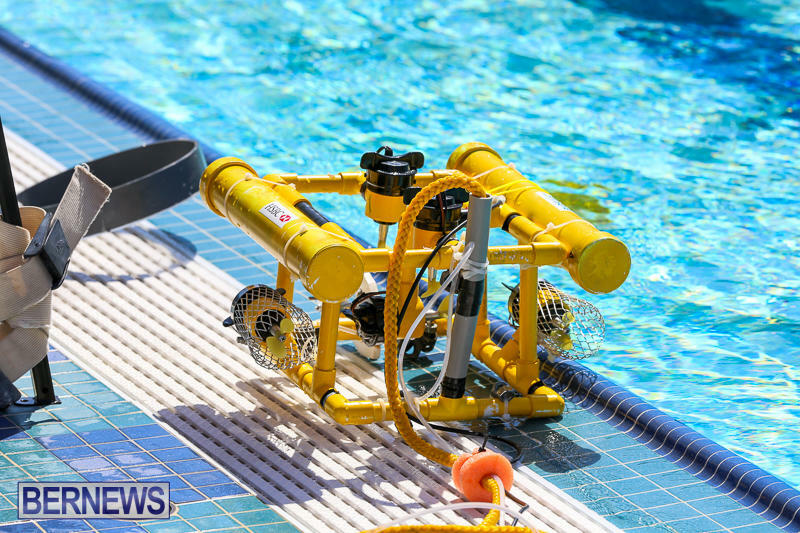 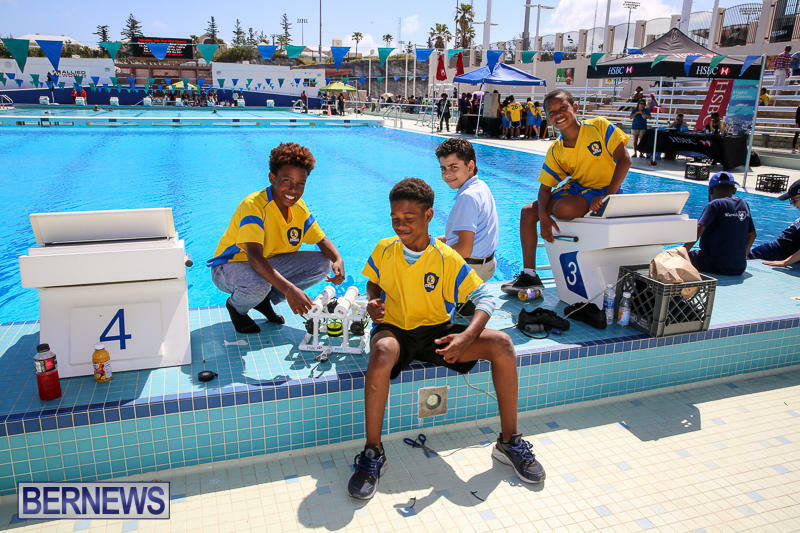 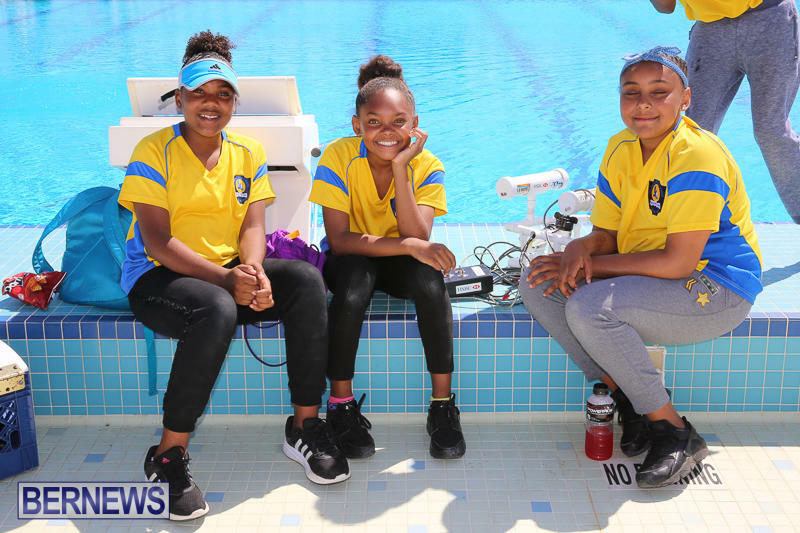 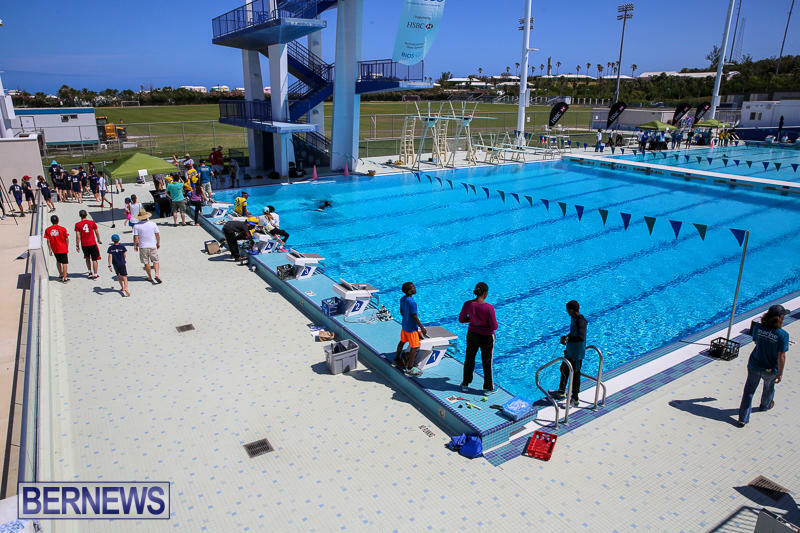 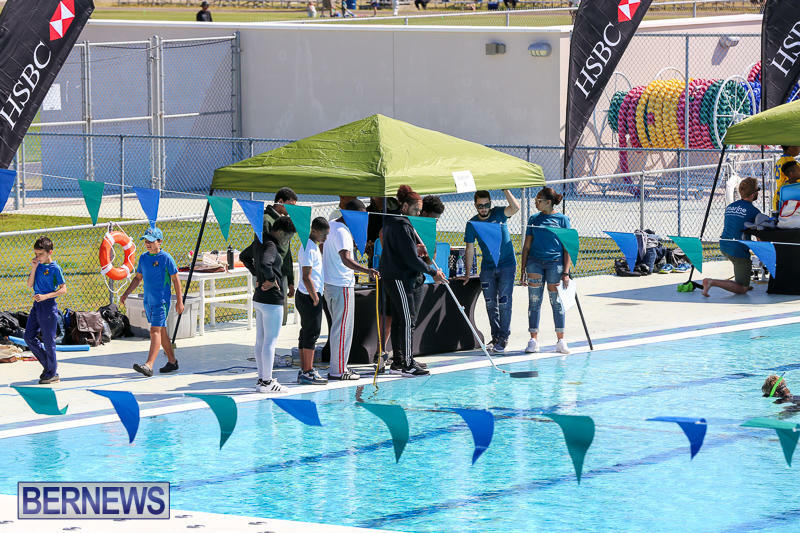 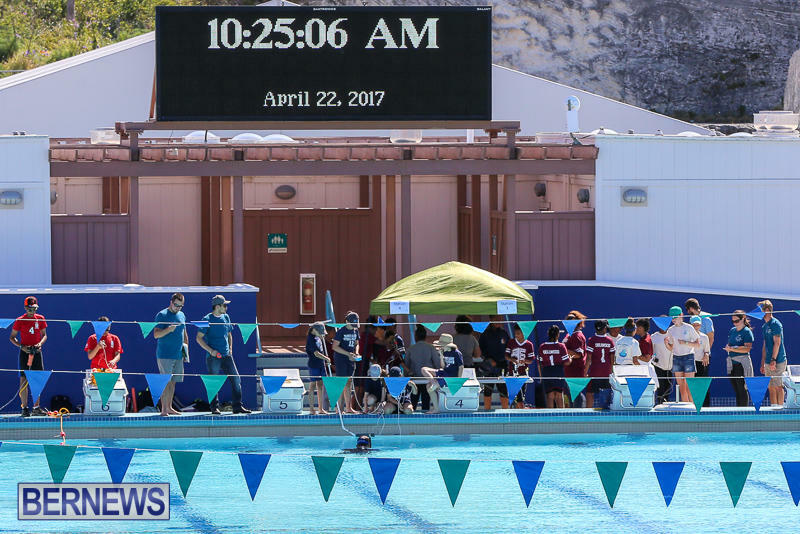 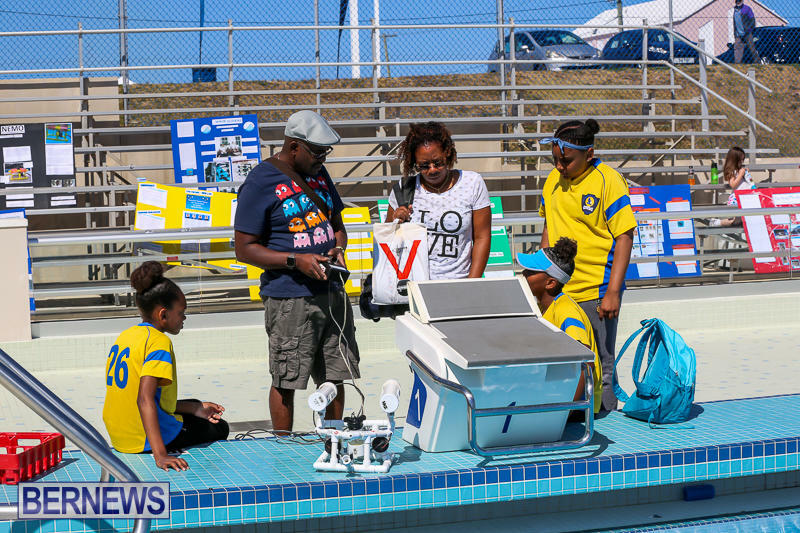 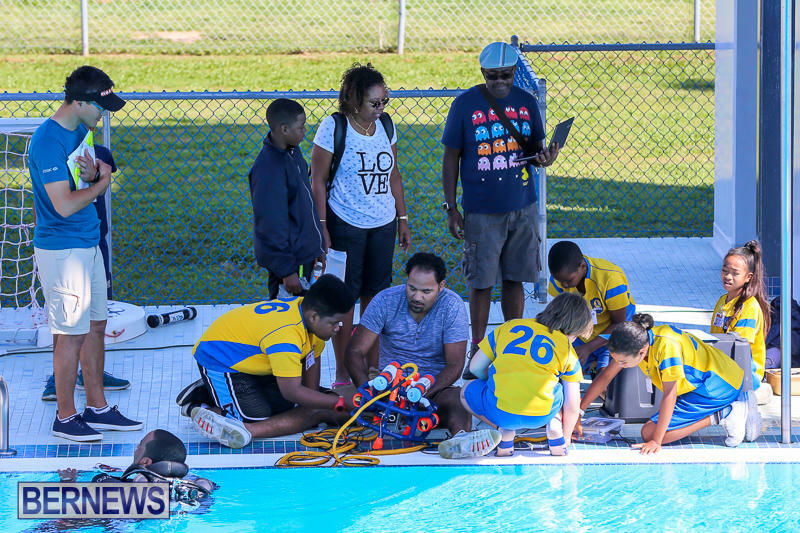 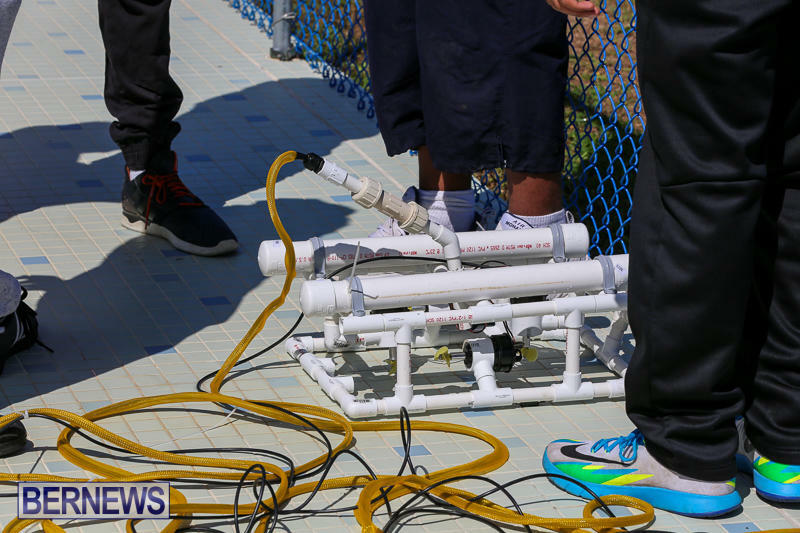 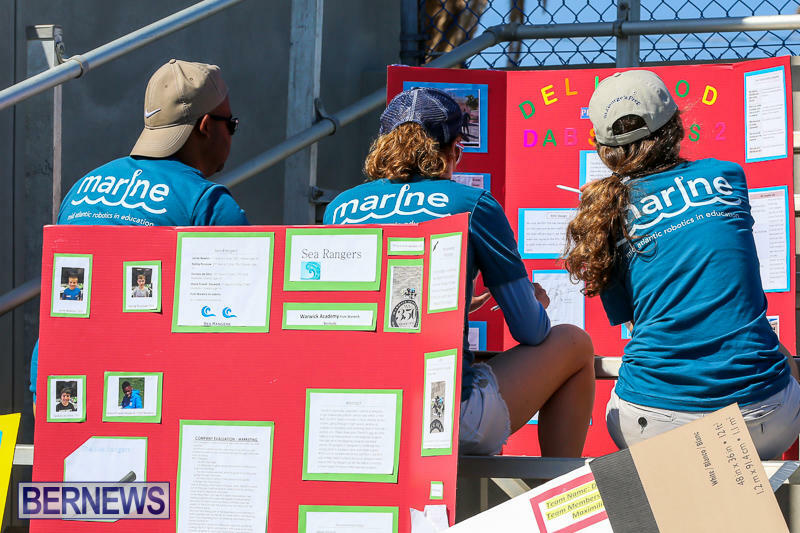 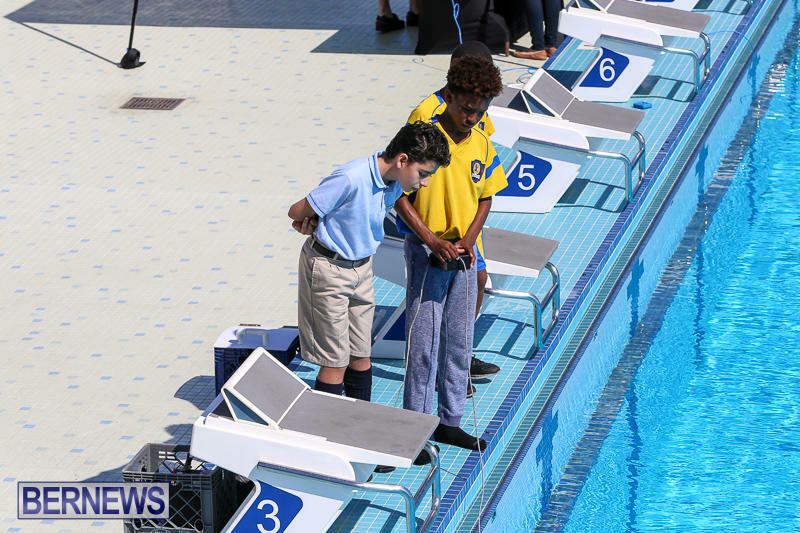 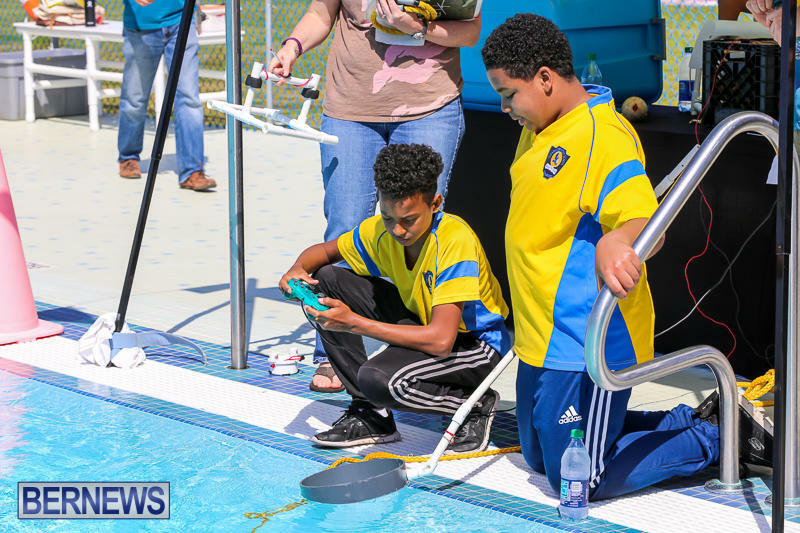 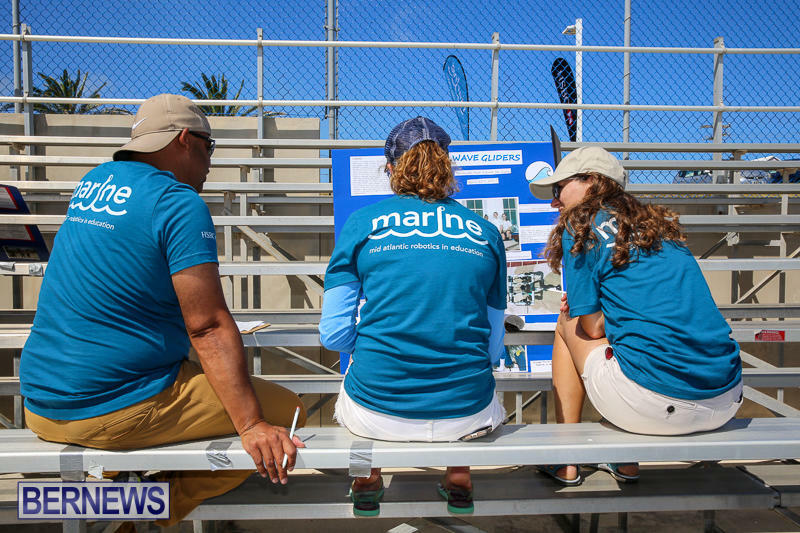 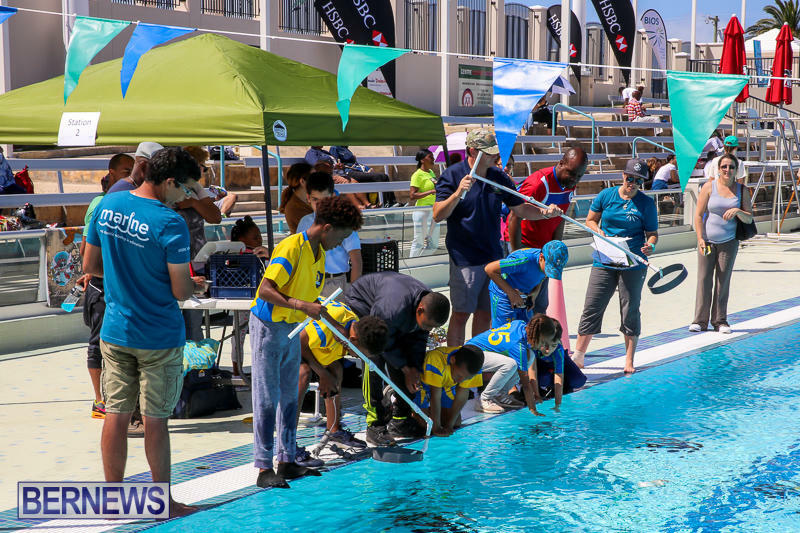 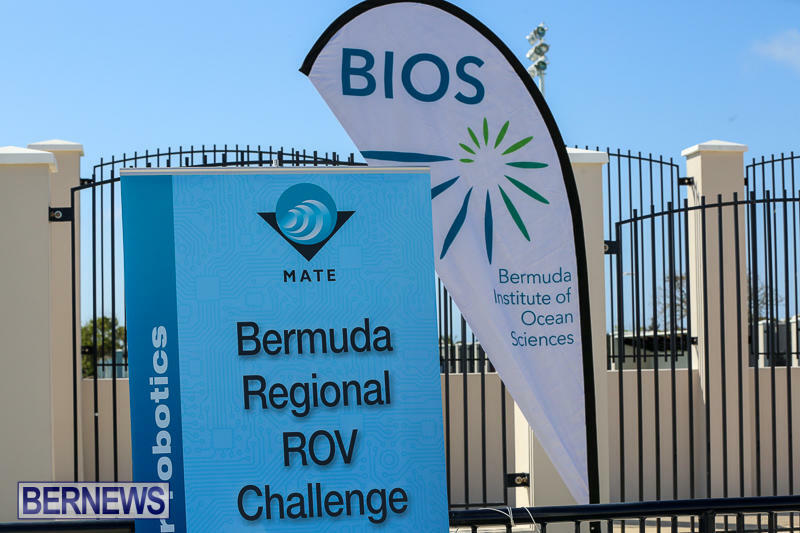 [Updated] Twenty-five teams from twelve Bermuda schools and educational organizations converged on the National Sports Centre today [April 22] for the 2017 MATE Bermuda Regional Remotely Operated Vehicle [ROV] Challenge. 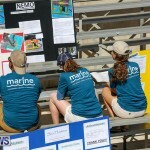 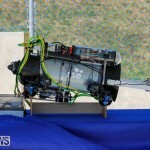 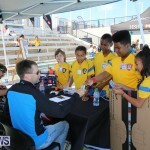 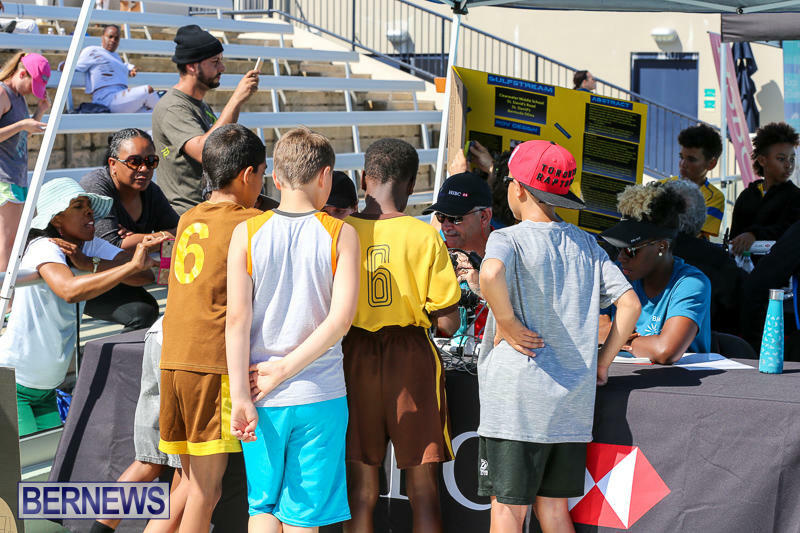 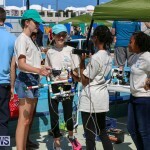 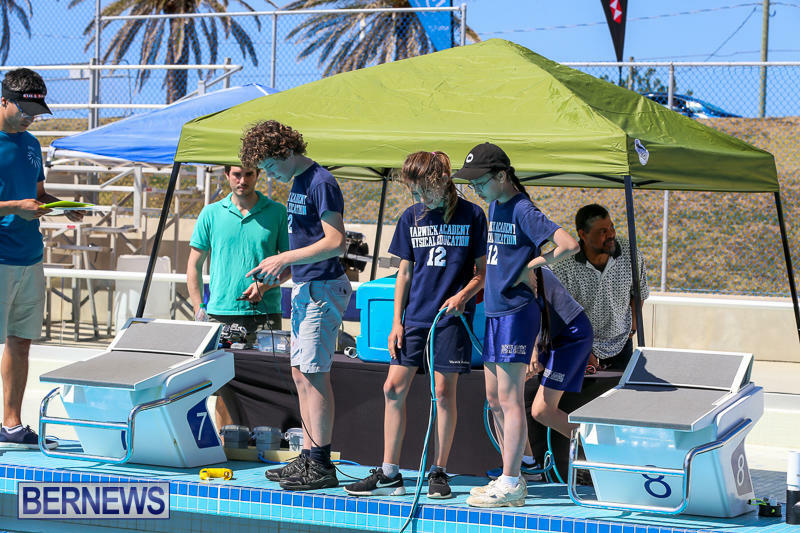 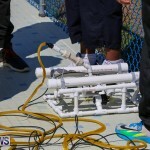 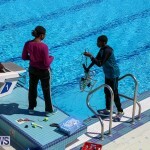 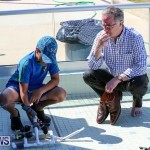 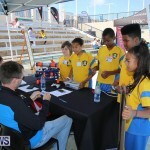 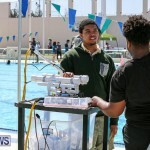 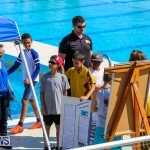 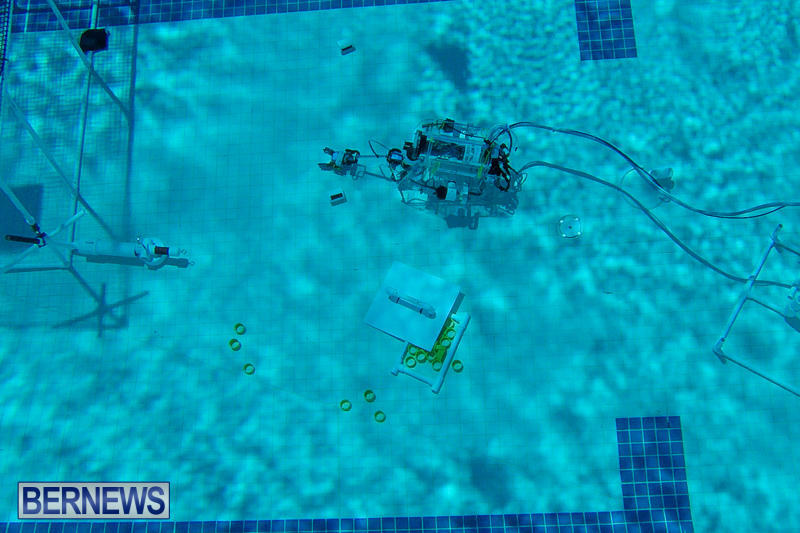 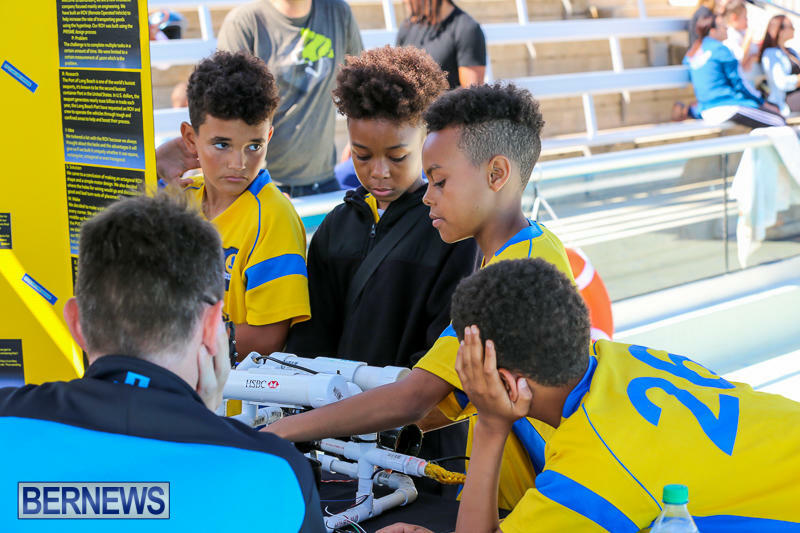 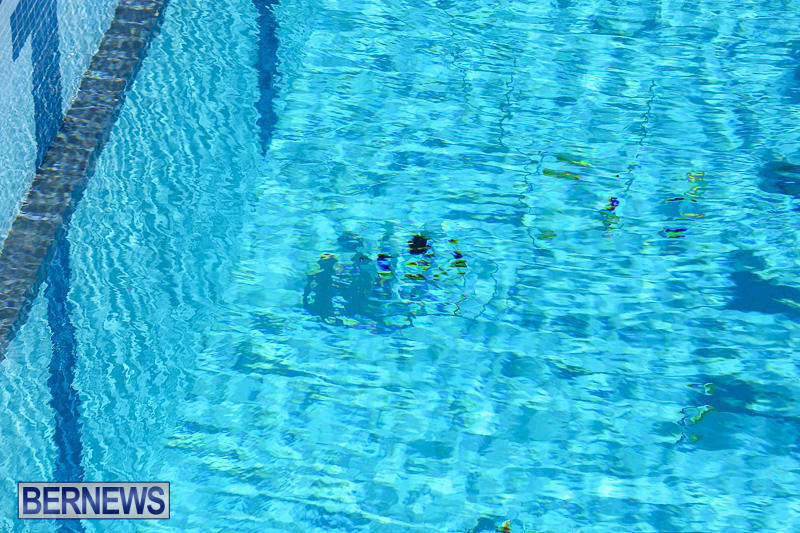 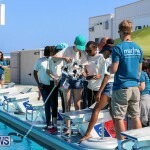 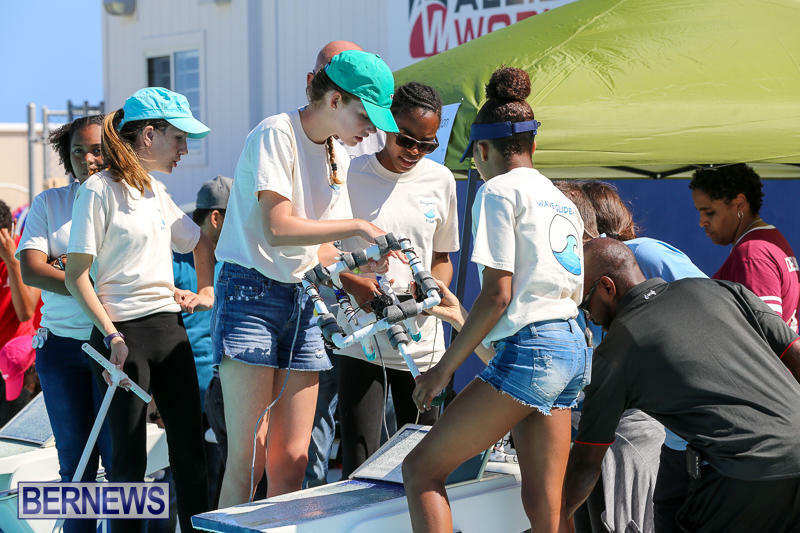 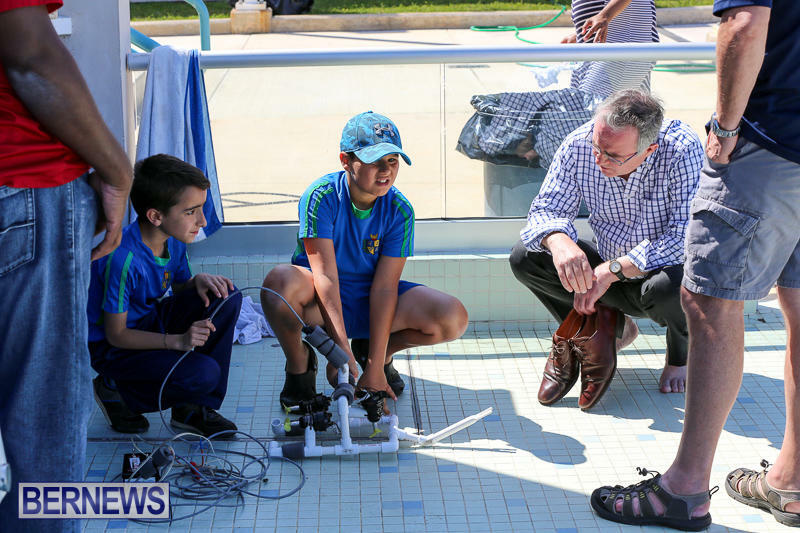 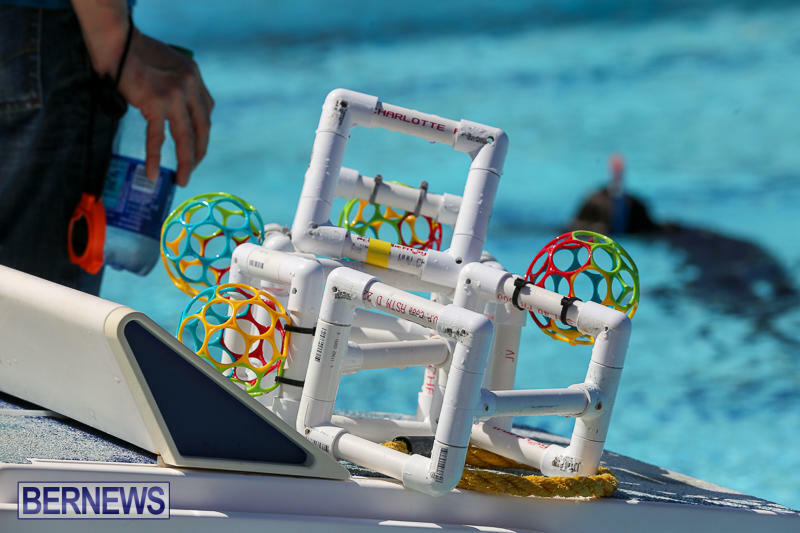 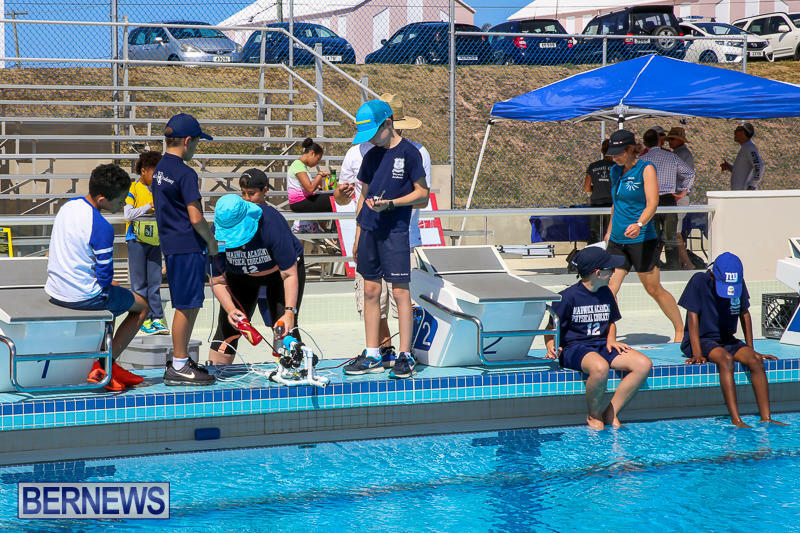 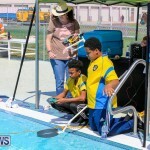 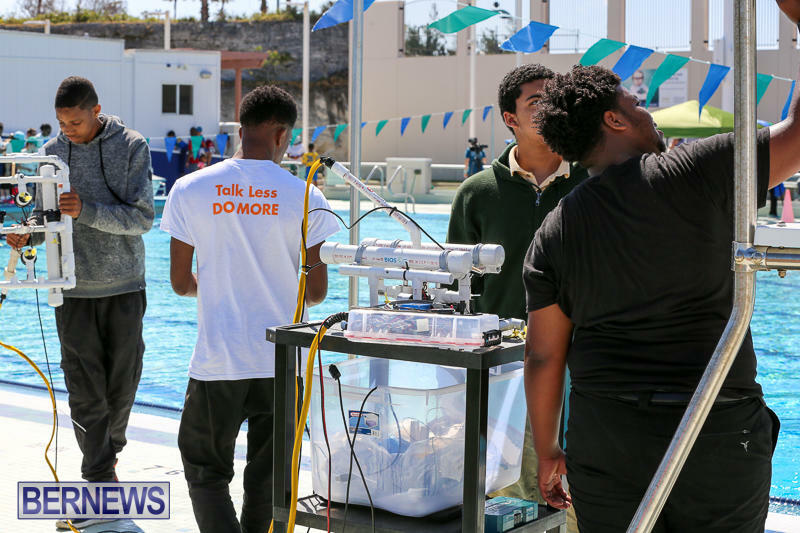 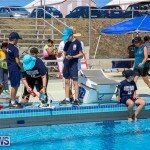 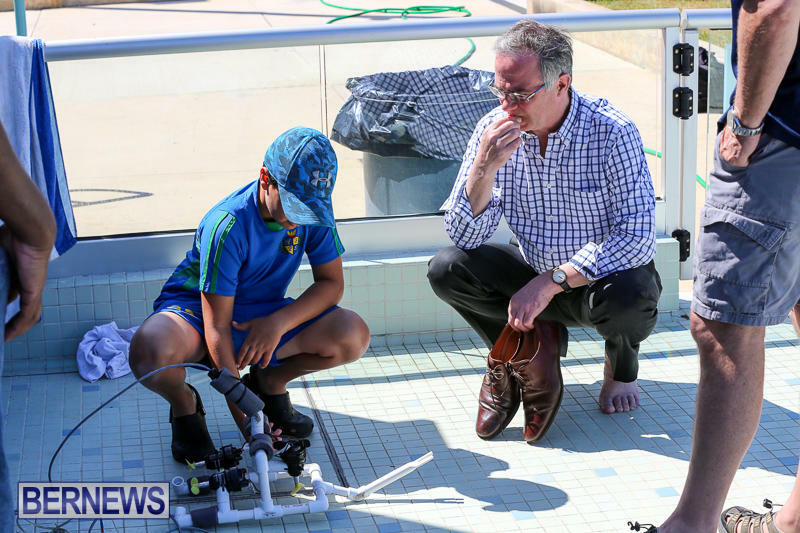 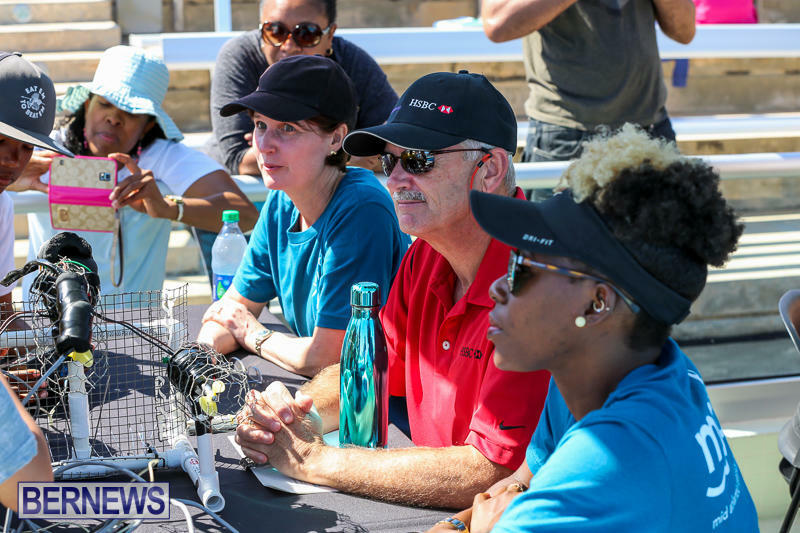 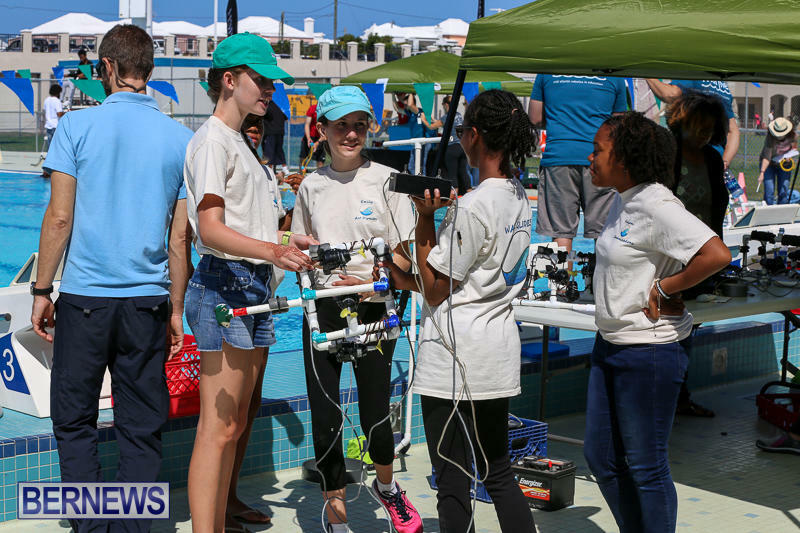 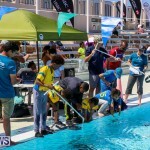 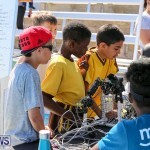 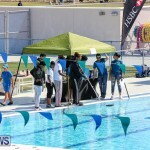 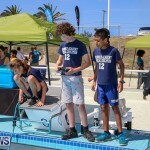 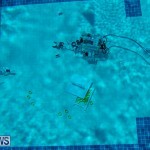 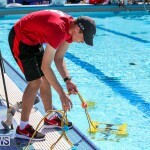 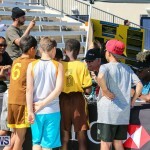 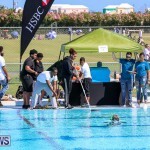 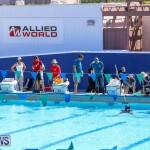 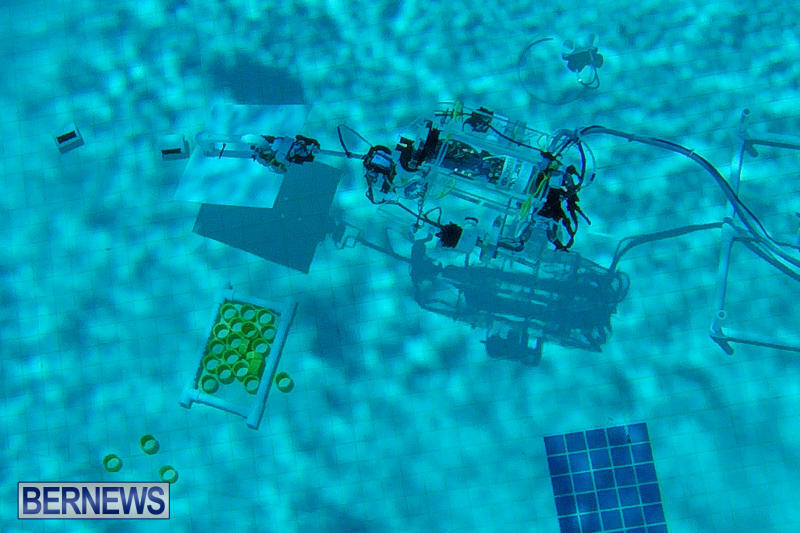 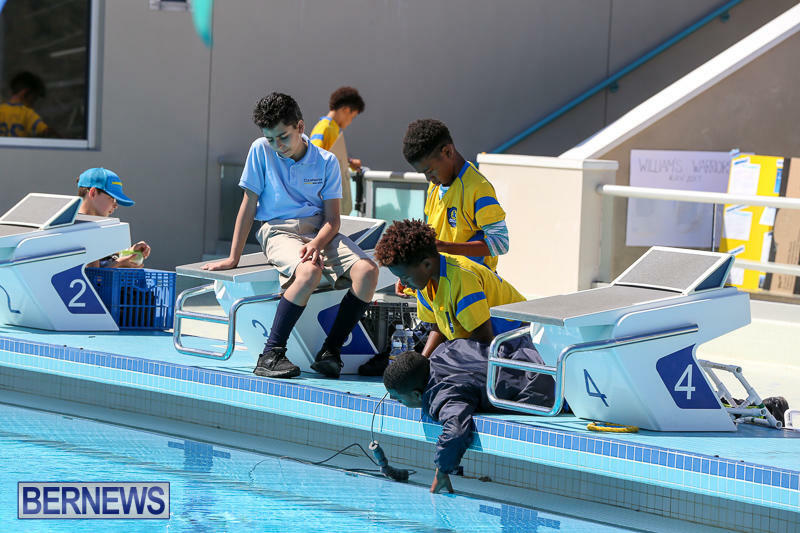 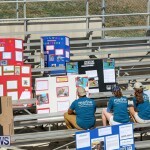 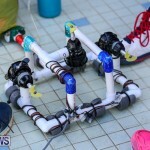 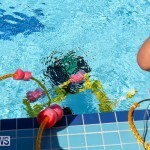 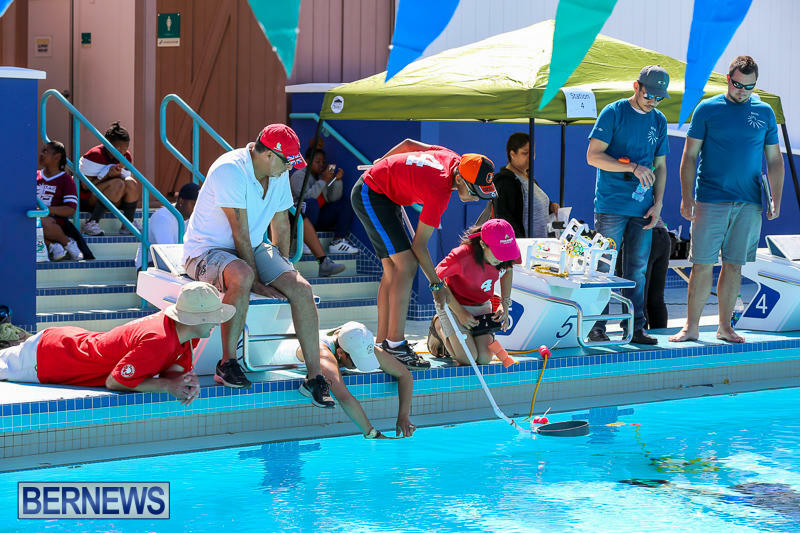 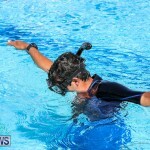 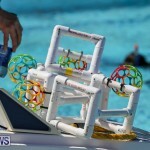 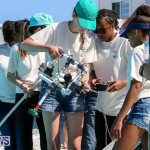 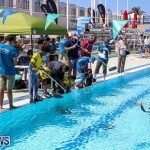 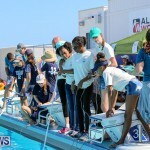 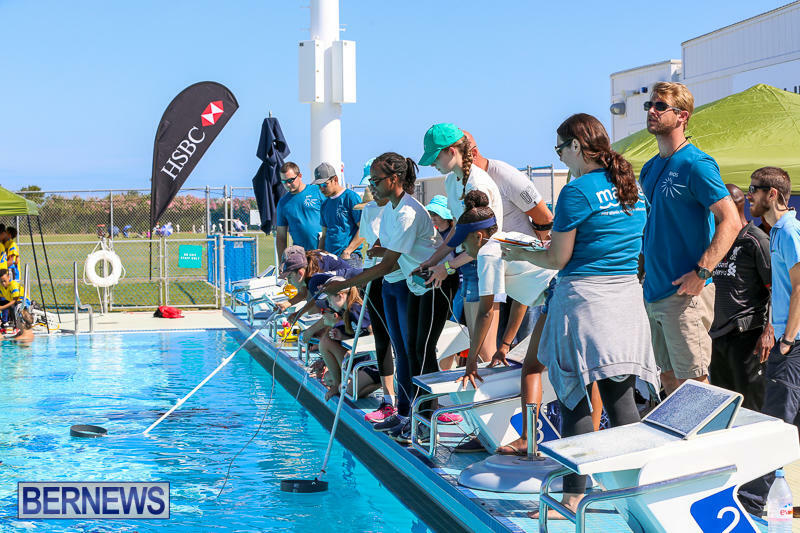 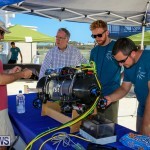 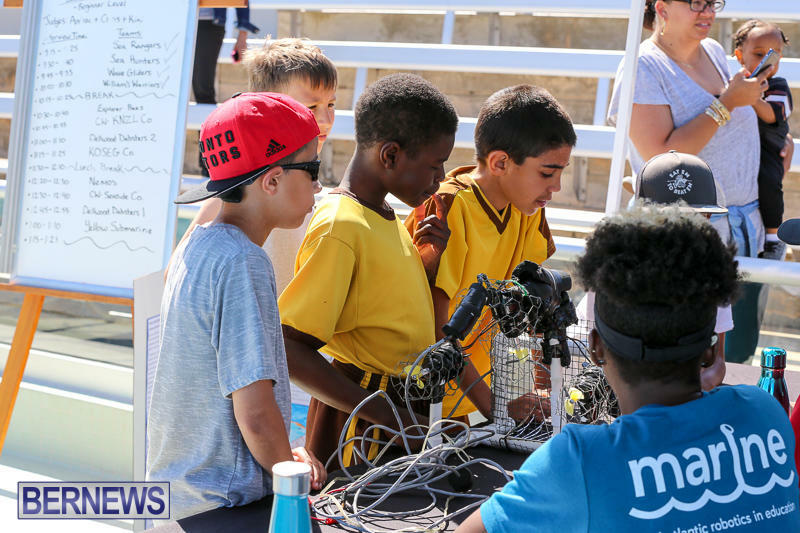 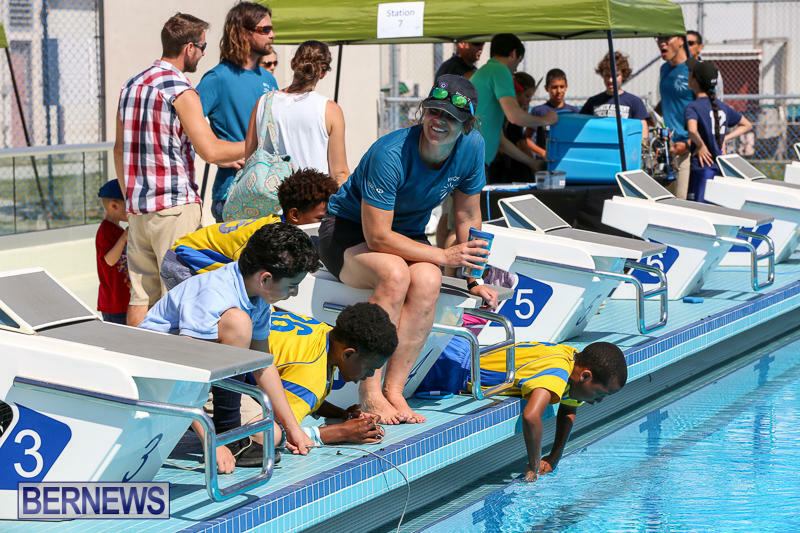 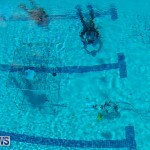 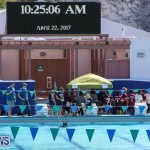 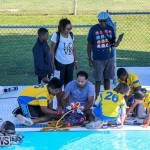 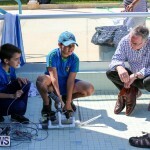 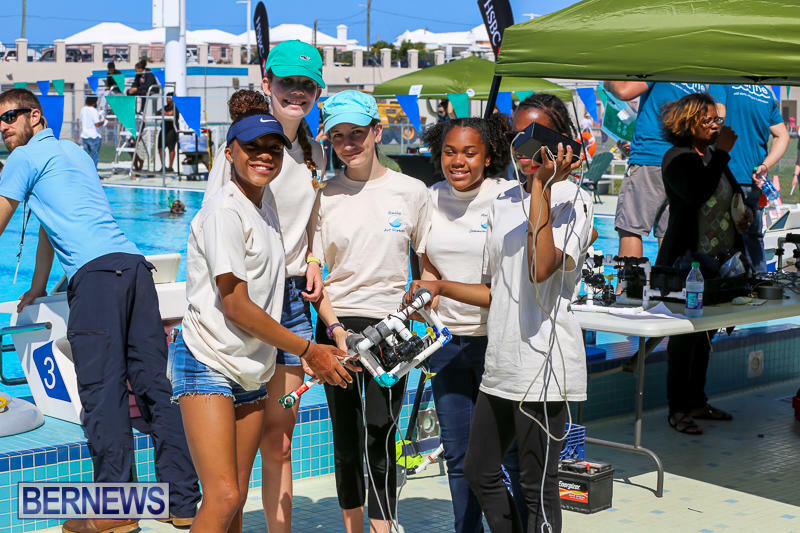 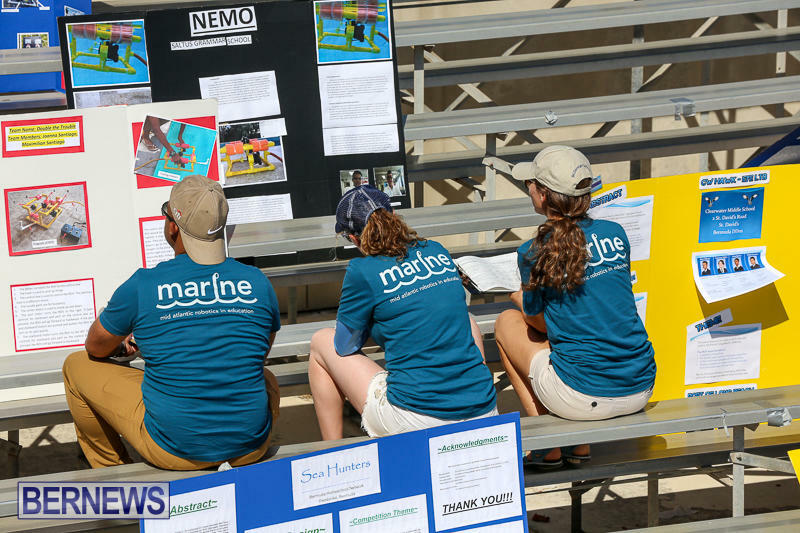 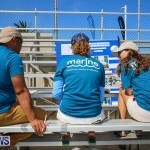 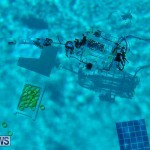 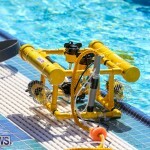 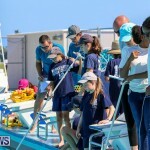 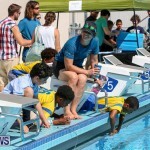 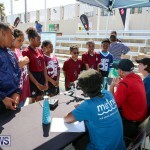 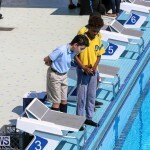 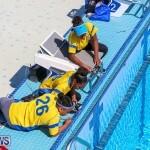 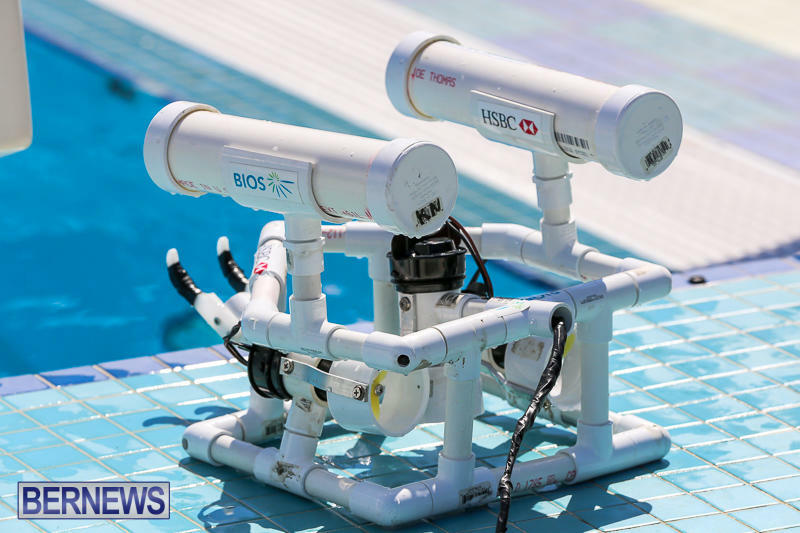 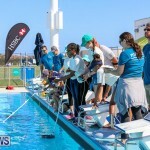 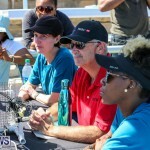 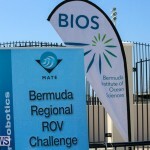 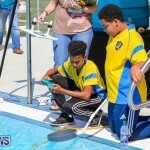 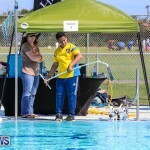 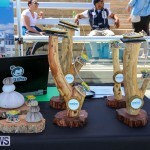 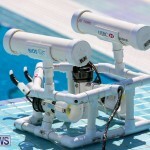 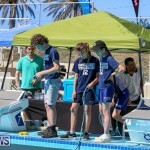 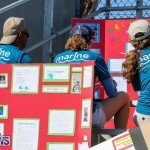 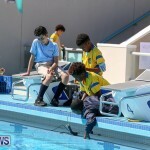 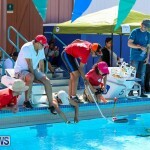 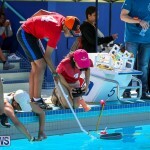 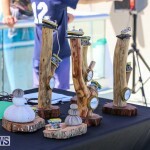 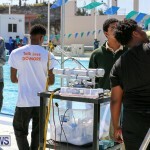 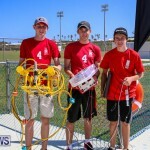 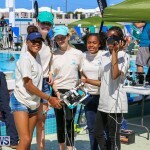 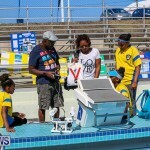 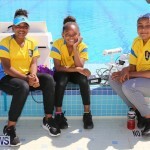 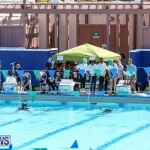 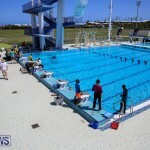 The program, hosted by the Bermuda Institute of Ocean Sciences [BIOS], is part of the Mid Atlantic Robotics IN Education Program [MARINE], with lead donor support from HSBC. 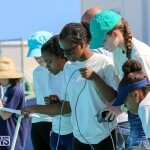 During the challenge, students set the robotic vehicles they have built in collaboration with instructors on a variety of missions. 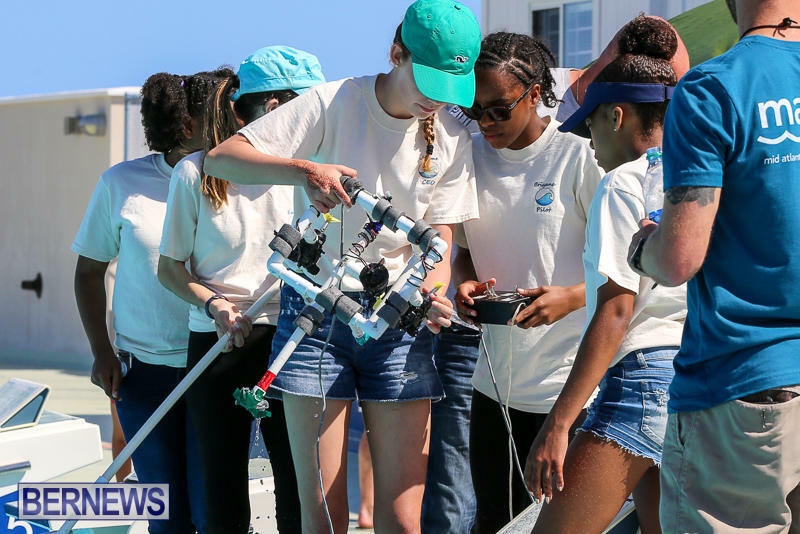 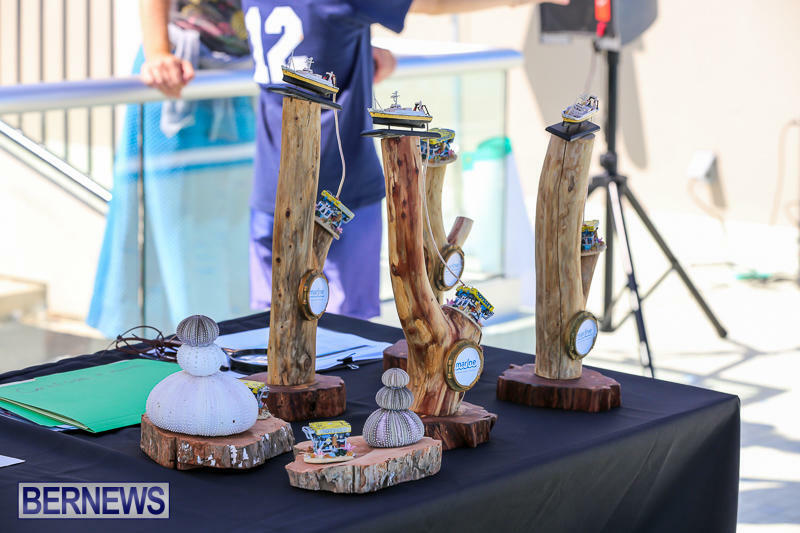 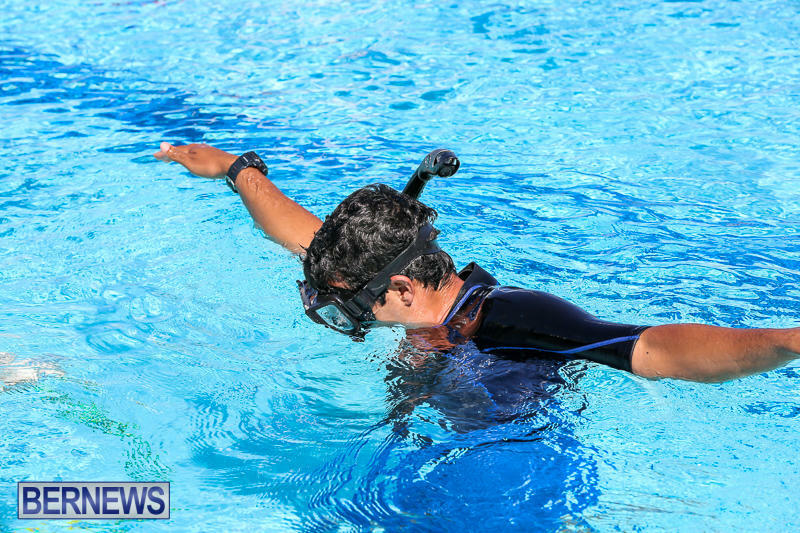 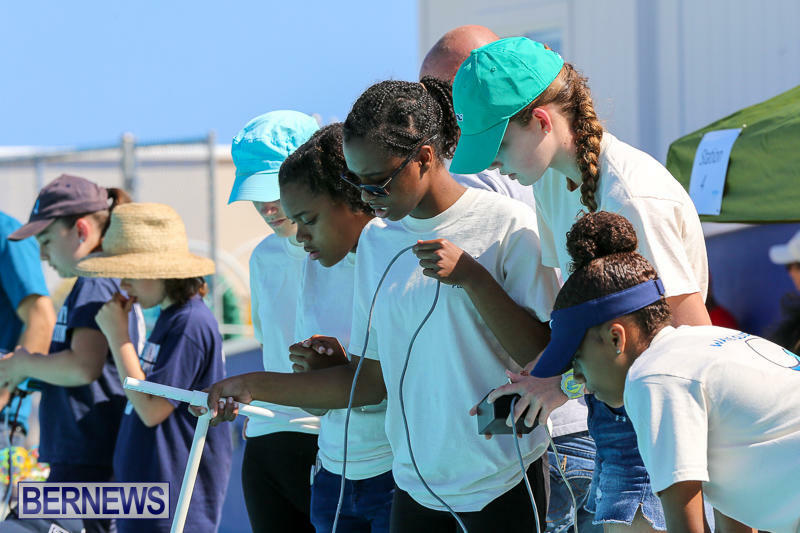 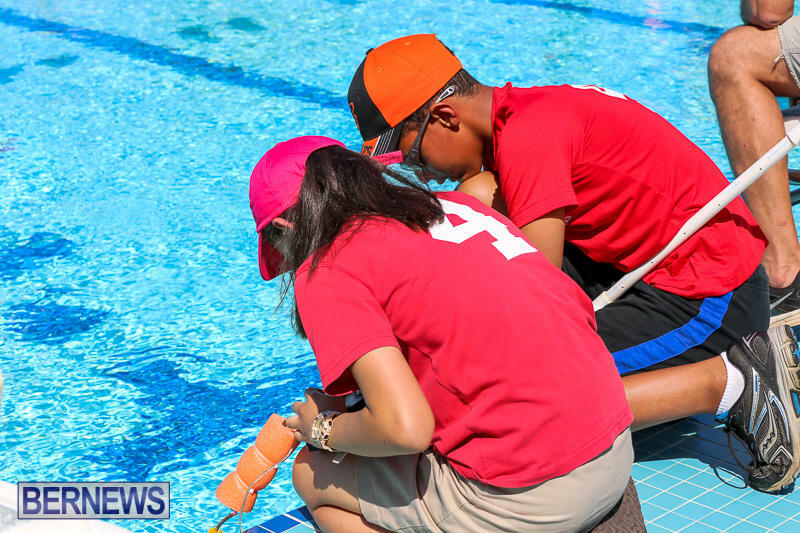 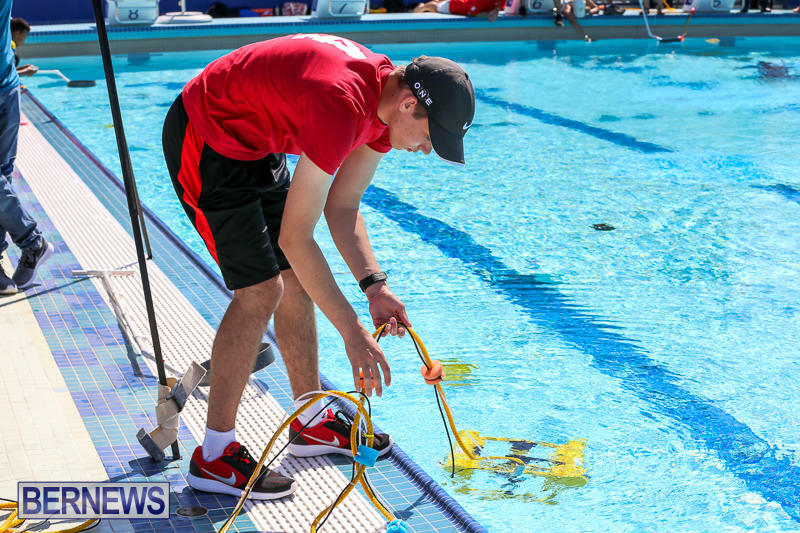 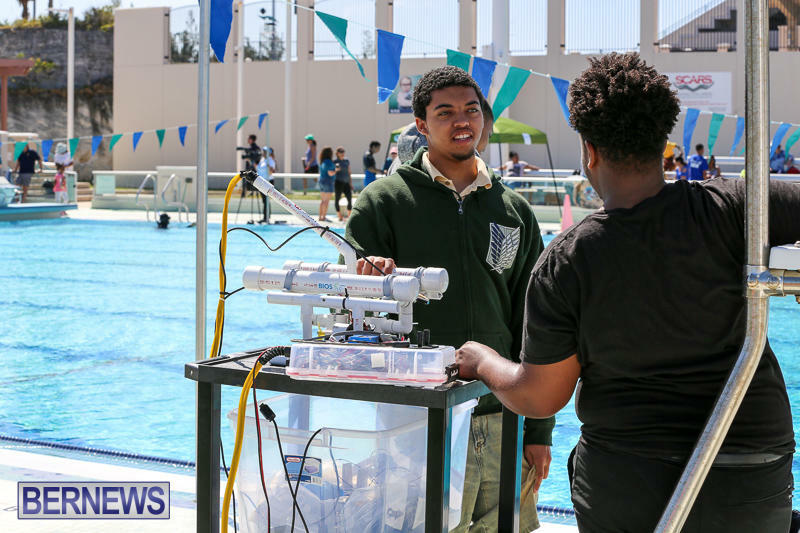 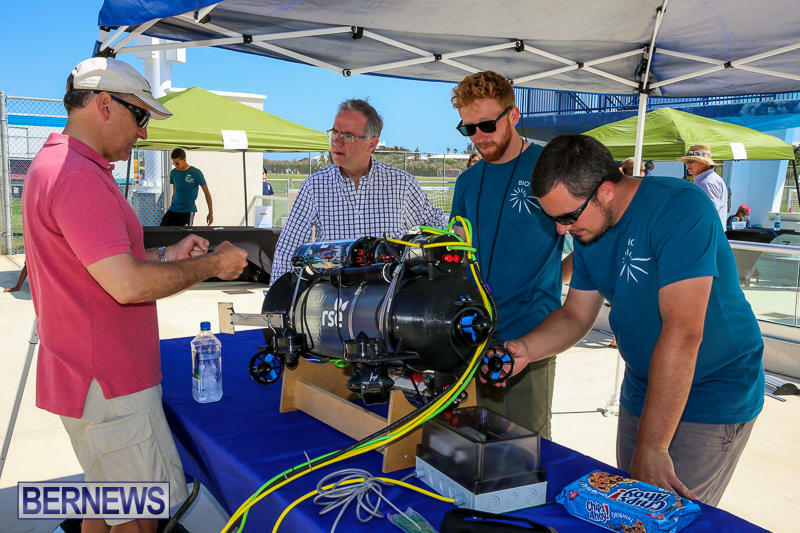 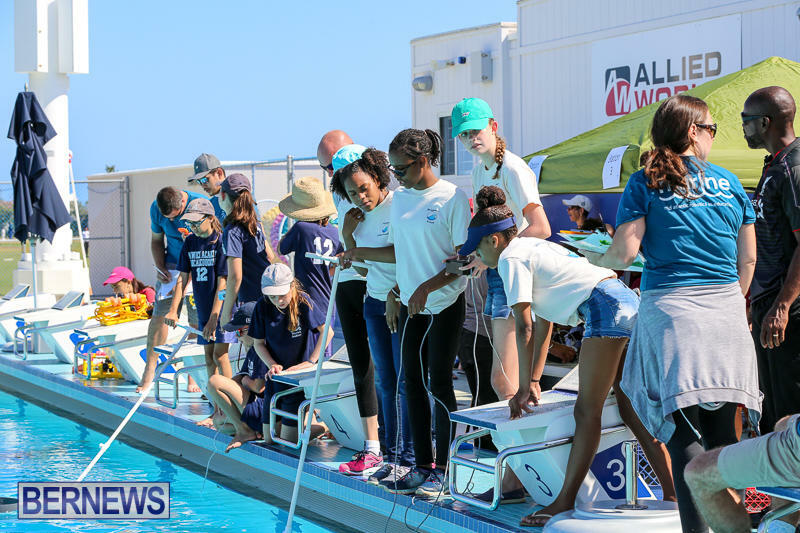 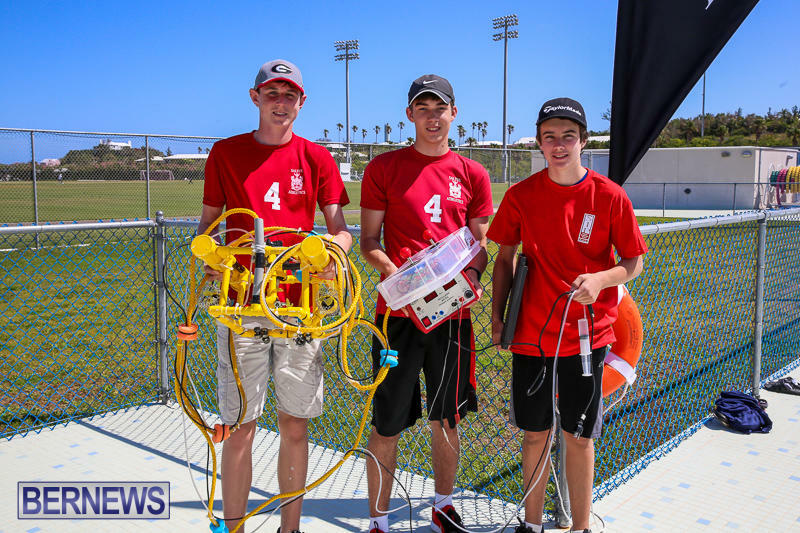 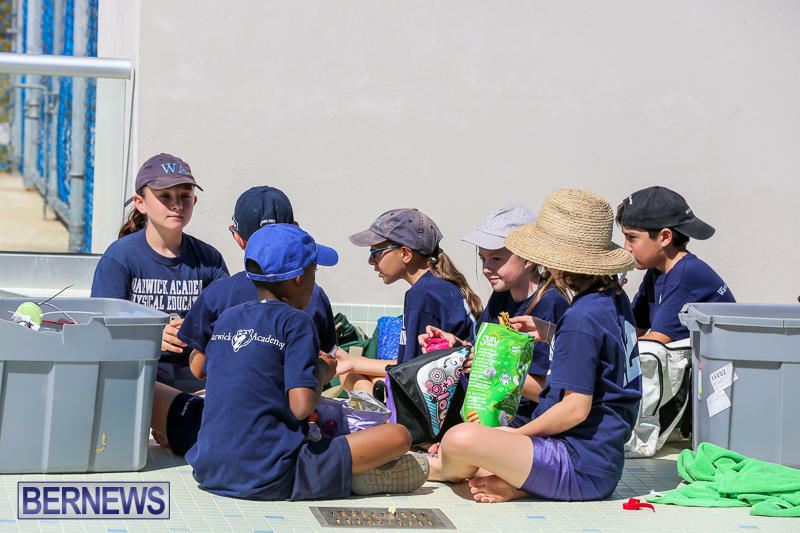 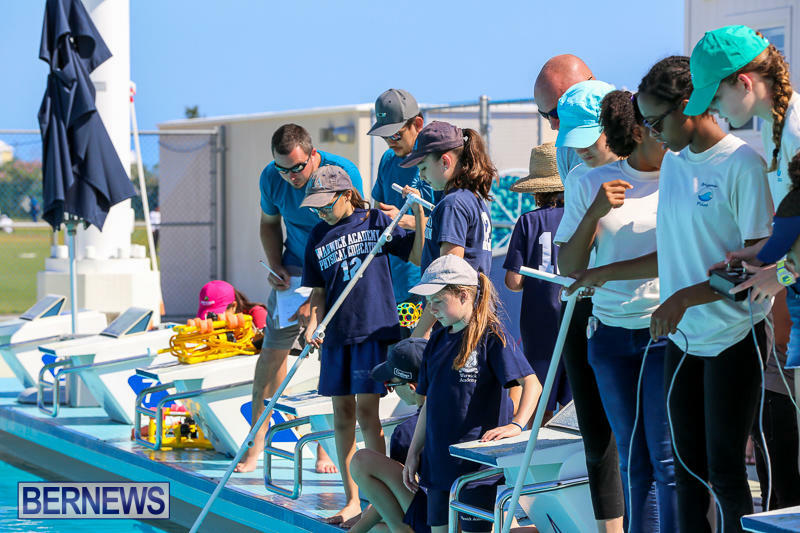 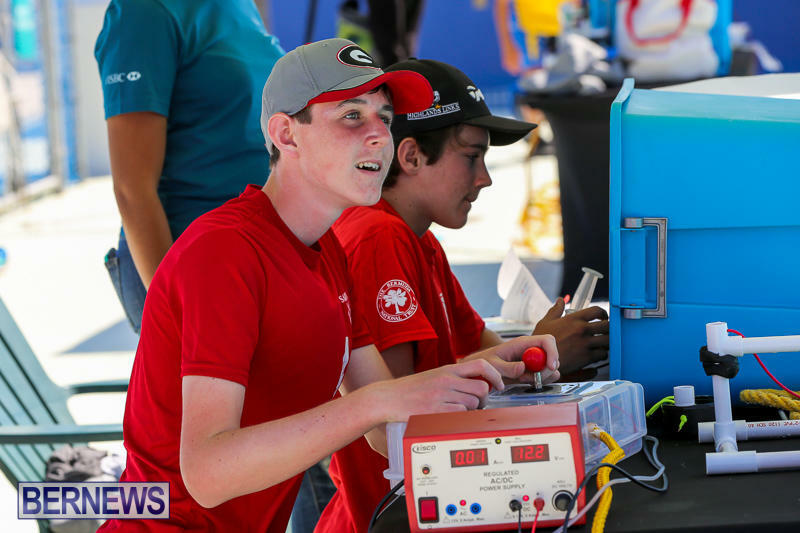 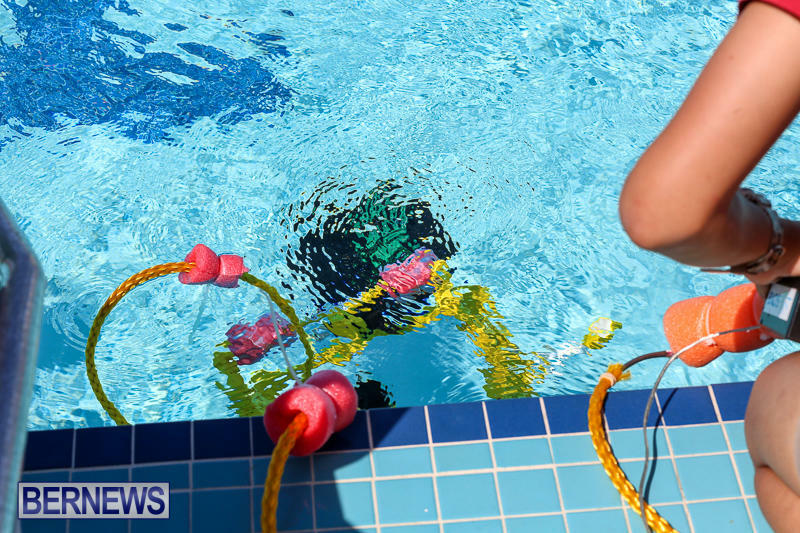 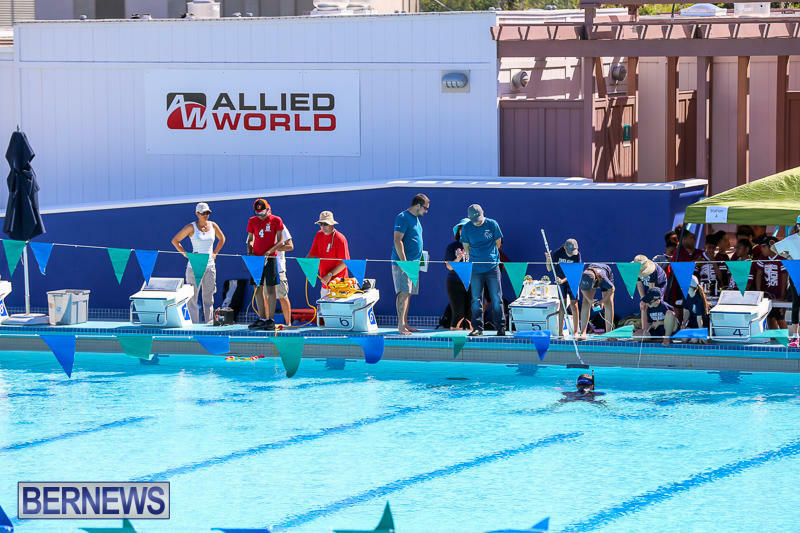 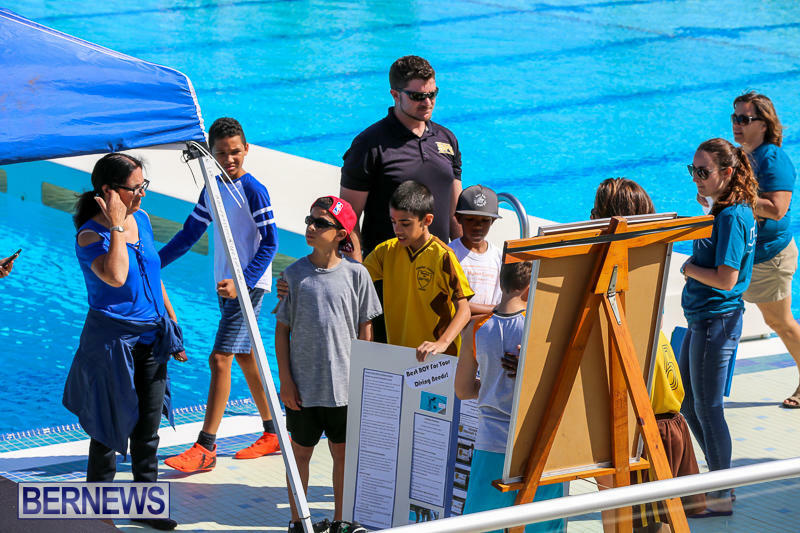 For beginner students, this year’s theme for the ROV piloting challenge was Bermuda-based, focusing on navigating through a reproduction of the island’s Harrington Sound to collect sea urchins and sea grasses. 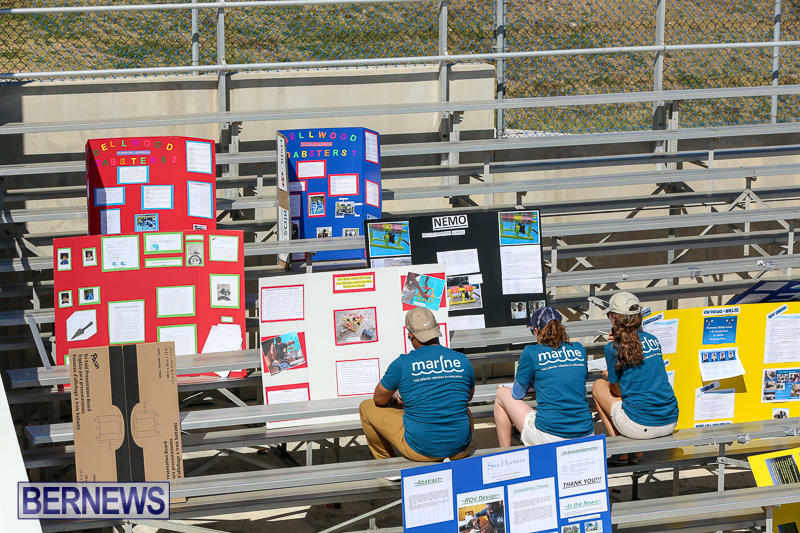 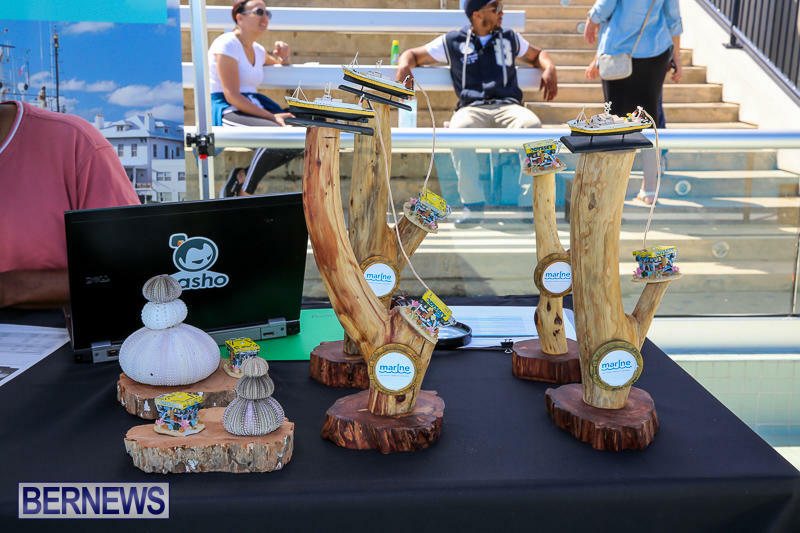 The theme for students competing at the Scout and Ranger levels was “Port Cities of the Future: Commerce, Entertainment, Health and Safety.” We will update with result as able.